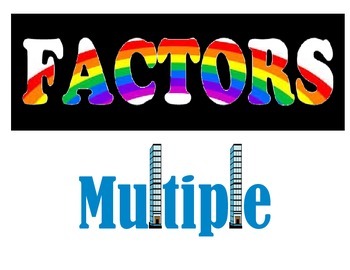 Desperate for a way to get your students to memorize the difference between a factor and a mulitple? 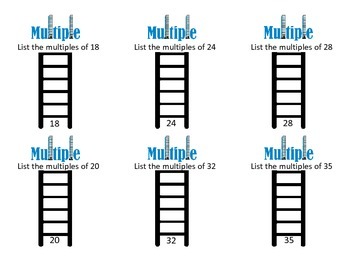 With the fast pace that math is being taught at the 4th and 5th grade level, it's no wonder students never get to mastery. New vocabulary words are being thrown at them every day. Without repeated exposure, real-life meaning, or a trick, vocabulary meanings just don't stick! 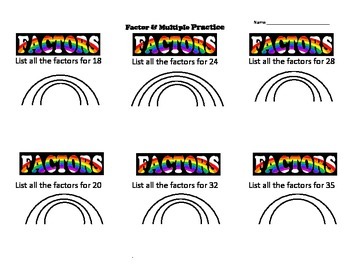 We already know that visual aides increase memorization, so take advantange of an activity I use with my students to help these 2 words finally STICK! 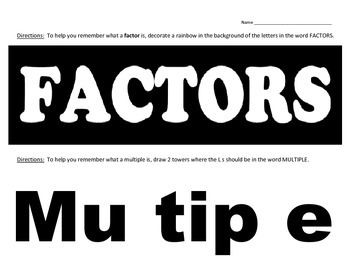 You'll get 1) a skill sheet with visual aides to copy front to back 2) a drawing activity to really get your kids to remember the meaning of the words 3) two vocabulary cards to post on your word wall or board.